In an eagerly awaited matchup this Saturday, Aug. 13, Joseph King Kong Agbeko will defend his IBF bantamweight title against unbeaten WBC Silver Bantamweight Champion Abner Mares in The Bantamweight Tournament Final: Winner Takes All live on Showtime (10 p.m. ET/PT, delayed on the West Coast). 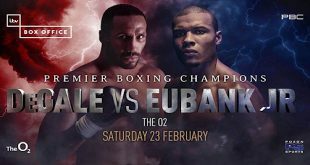 Agbeko, who will be making his fourth consecutive appearance on Showtime, and Mares, who'll be making his third in a row on the network, were scheduled to meet last April 23, but the fight was postponed when Agbeko was injured moments after his arrival at Los Angeles International Airport for fight week. Doctors diagnosed the champion with sudden onset sciatica, a back injury. The boxers, along with three fighters on the undercard - Eric Molina, former World Champion Eric Morel and Angelo Santana -- participated in a media workout today at the Hard Rock. 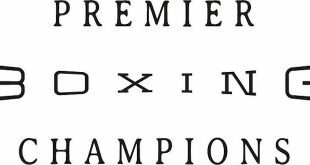 On Saturday, Molina (17-1, 13 KOs) and Warren Browning (14-1-1, 9 KOs) collide in a 12-rounder for the vacant WBC United States heavyweight title, Morel (44-2, 22 KOs) meets Daniel Quevedo in a 10-round bantamweight bout and Santana (10-0) takes on Ronald Hurley in a nine-round super lightweight scrap. The fight card is promoted by Don King Productions and Golden Boy Promotions and is sponsored by Corona. "I feel good, actually, great and I'm very happy to be back and fighting. I was never afraid that I would not fight again. I was surprised a thing like this could happen to me, but I knew in my heart that my career was not going to end this way. I mostly felt very bad that our first fight could not come off as scheduled. "I have trained for nine weeks and my camp was excellent. At no point did I feel weak and now it is all behind my and I am focusing on Mares. "There is no way I am going to lose this fight. I don't watch a lot of tape on my future opponents and I have only seen a few rounds of Mares' fight against Yhonny Perez, but I know he is a very good, fast, aggressive fighter with a big future in this sport. "I have prepared for everything he brings. He may be the one running in this fight. I have dedicated this fight to my youngest child, Keira, who turns five six days after the fight. My motivation comes from both my kids. "Naturally, it was difficult for me when our fight was cancelled, but eventually I got over it. I took a few weeks off and then was back in the gym. My camp was different this time around. We changed it up, first when I was in Mexico and then when I was in Santa Fe Springs (Calif.), just so I wouldn't get stale. "Actually, this camp went by fast and now my training's done. I'm in great shape and very excited about fighting on Saturday. I'm totally focused and ready to explode. 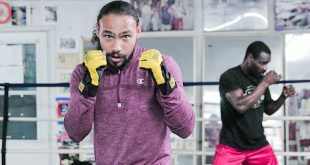 "I look at this as my hardest fight, but winning the IBF belt and the Showtime tourney on one night is something that can really set my career in motion. There are lots of opportunities for the winner after Saturday. "I definitely believe the winner of this tournament should be called the top bantamweight in the world. To be the best, you have to fight the best and that's what we have done. Other guys were invited to participate, but declined. That's their business, but I'm sure I'll be fighting one of them at some point. "A chance to become the first homegrown Golden Boy world champion is very exciting to me. I definitely would like to be the first, but I don't feel any nervous pressure. "This is my first fight since December and my first at 140 pounds. I am very excited to be getting back in the ring again. It doesn't matter against whom. I'm also excited about fighting in Las Vegas again. "It took me 12 times before I made it to the United States from Cuba, but I knew I was never going to give up on that dream no matter the consequences. I've been here about four years. "My goal Saturday is to win and then fight as often as I can. If I have to continue to fight at 140 to stay busy, I will. Whenever I get the call, you can bet I'll be ready." "I'm calling out all the big names at 118 pounds. They all know what time it is. My goal is win another world title, which would make me a three-time champion. "I feel if I continue to win, my chance will come, but I understand that it's not just winning that matters, but how you win, and I hope to be impressive Saturday night. "I want to become the first Mexican-American heavyweight champion. 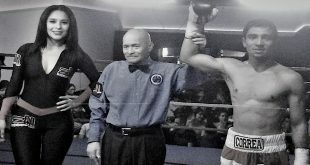 I lost my pro debut but have won 17 in a row since. The 12-round bout betweenbetween the New York-based Agbeko (28-2, 22 KOs) of Accra, Ghana and the unbeaten Mares (21-0-1, 13 KOs) of Hawaiian Gardens, Calif., by way of Guadalajara, Jalisco, Mexico, will take place at The Joint at Hard Rock Hotel & Casino in Las Vegas, Nev.
Tickets, priced at $200, $100, $75, $50 and $25, along with a limited number of VIP suite seats priced at $150, are available at the Hard Rock Hotel Box Office, all Ticketmaster locations, online at www.Ticketmaster.com or by phone (800) 745-3000. Doors open Saturday at 2 p.m. The first non-televised undercard fight begins at 2:15.